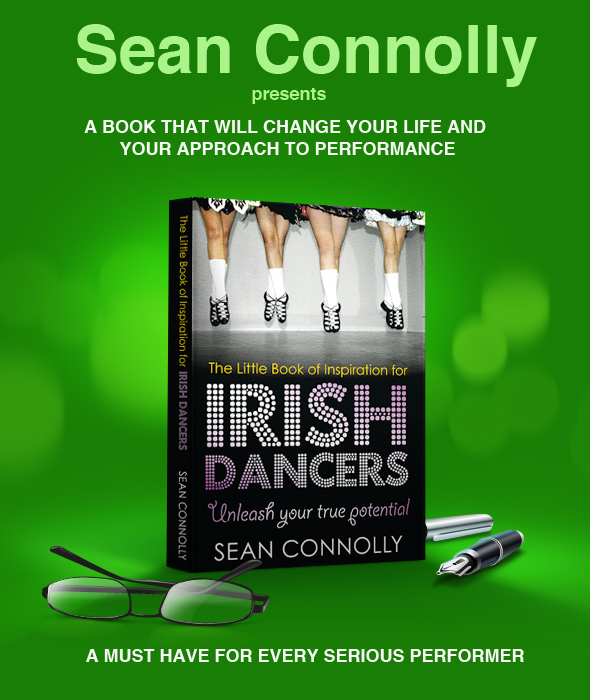 Sean Connolly released The Little Book of Inspiration for Irish Dancers in February of 2012. Though he is not a dancer himself, Connolly touches the lives of many Irish dancers around the globe through inspiration and coaching. In the same vein as the Chicken Soup for the Soul books, Connolly's new inspirational little book will encourage and lift any Irish dancer's heart. With advice on practicing, goals, persistence and positive mental attitude, The Little Book of Inspiration for Irish Dancers is a must have for Irish dancers of all ages. Though small in size, Connolly's inspirational book offers large advice, "When you retire from dancing all you will have are the memories. You do not want to look back at a past full of regrets and failings due to fear, stress and worry. Make these memories full of excitement, fun and of a dancer who always did their best" (pages 20-21). Not only are Connolly's words encouraging, but they offer motivation for change. "If you want a different result, you are going to have to do something different," Connolly says on page 43. "Why not start with something that costs nothing, but could give you just about everything, and that is a new way of thinking." Readers will be willing to look past the few grammatical errors in the book in favor of the gems of truth embedded in its digital pages. Many of Connolly's quotes such as "Practice is the only short cut in life and your best strategy for success" (page 69) will end up on practice walls and dance studios everywhere. Suggested mental exercises, and candid full-color photos of Irish dancers dot the pages of The Little Book of Inspiration for Irish Dancers to help dancers replace any negative thoughts with positive goals. For information about purchasing a copy of The Little Book of Inspiration for Irish Dancers by Sean Connolly, visit his website.